Elaine Hancock (Olney, United States) on 24 March 2011 in Architecture. 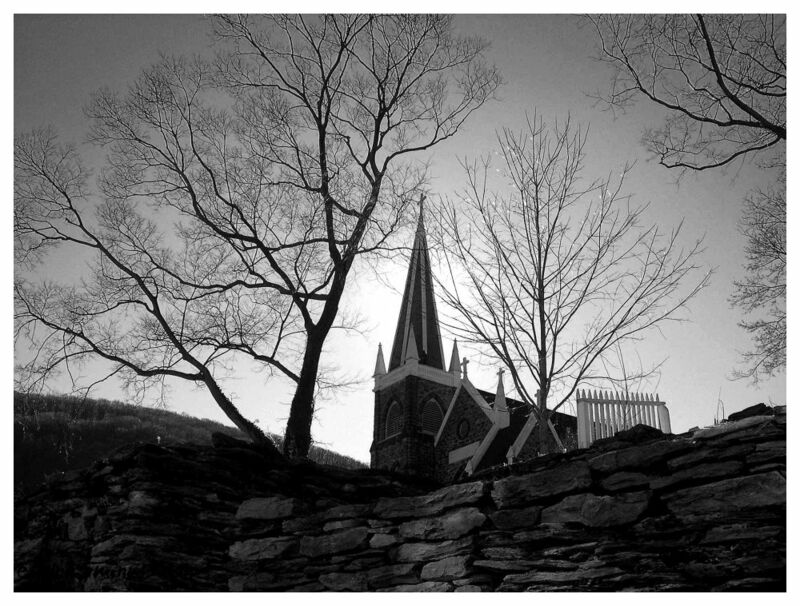 Another view of the church in Harper's Ferry. A Beautiful POV! Very dramatic in B&W! I love the textures of the stone wall and trees! Wonderful composition! A lot of History in Harper's Ferry! Wonderful; so many nice elements folded into one sweet mono photo. I really like what the trees have added to this mood, too. Very nice landscape, I like the composition. Like the glow around the steeple. Nice B&W.